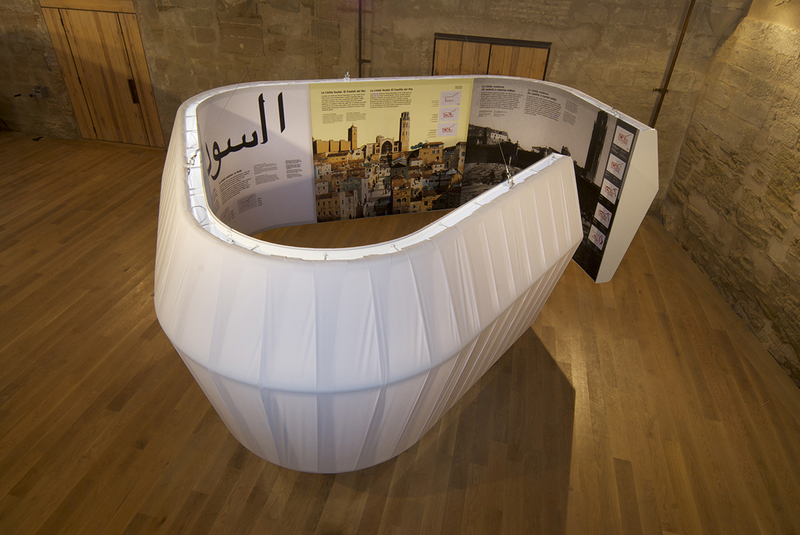 The Lleida Tourist Board held a competition in June 2010 for the creation of an exhibition that would mark the opening of the Castell del Rei / LaSuda, which had been closed to the public for decades. The initial premise was for the project to free up space for other events. 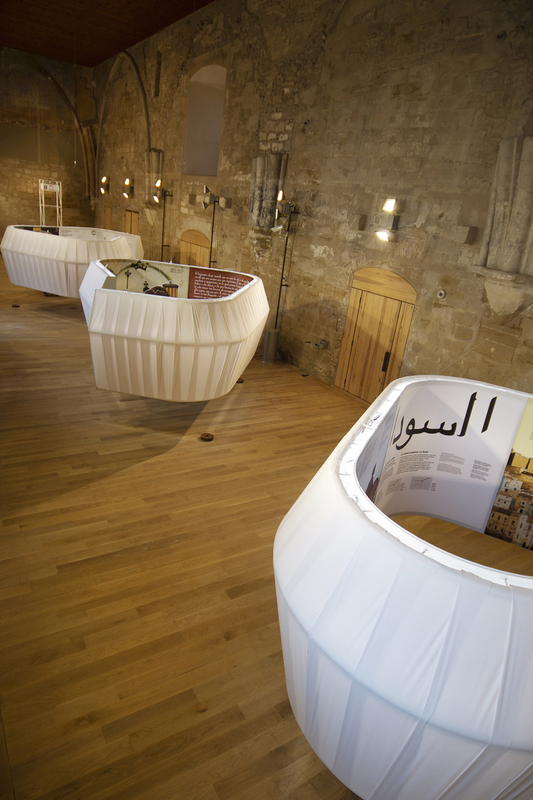 To use minimal exhibition resources, with easily renewable contents and low-tech mechanical systems. The custom-designed elements transform the space’s interpretation. The plane of the roof is the new ground level from where “liquid time” descends into the interior of the hall that accommodates visitors. 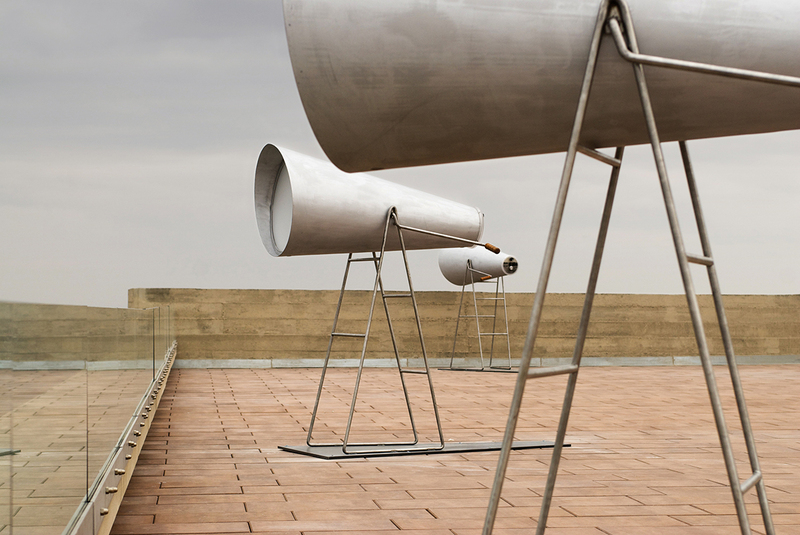 On the roof surface an ingenious visual-interplay links the visitor with their surroundings. 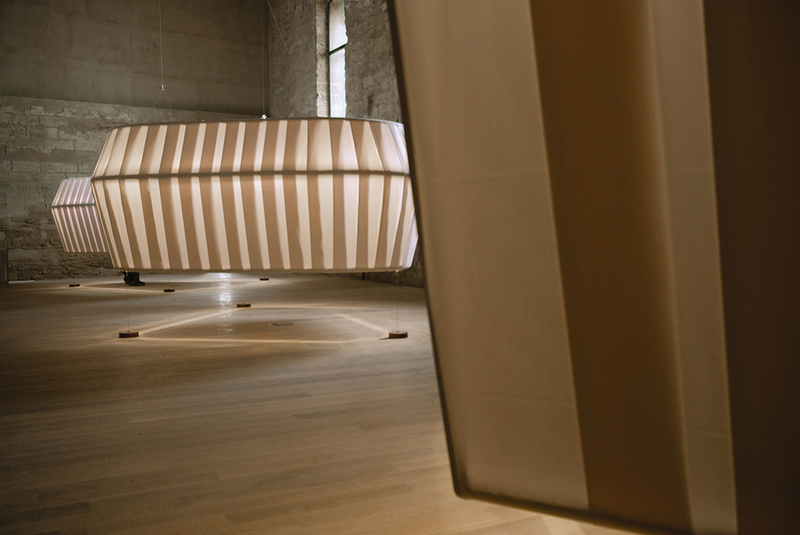 The space is ordered by way of three large circular exhibition stands suspended from the ceiling. 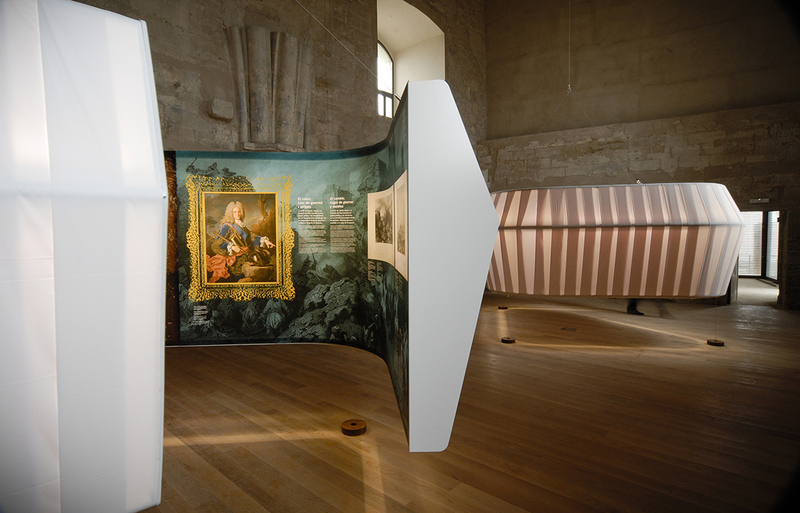 The inside of these glowing screens contains the exhibition material. Visitors must enter the screens to read the information contained within. 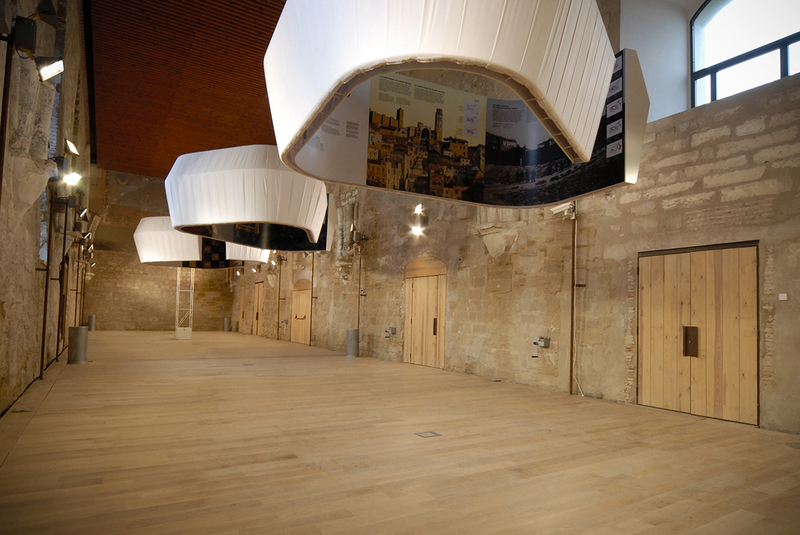 A system of pulleys enables the exhibition pieces to be manually raised when the room is to be vacated for other events, thereby taking advantage of the height of the space. At one end of the room is an audio-visual display projected directly onto the stone, complementing the dialogue of the exhibition with images that make reference to its content. The terrace offers excellent views over the city and its surroundings.